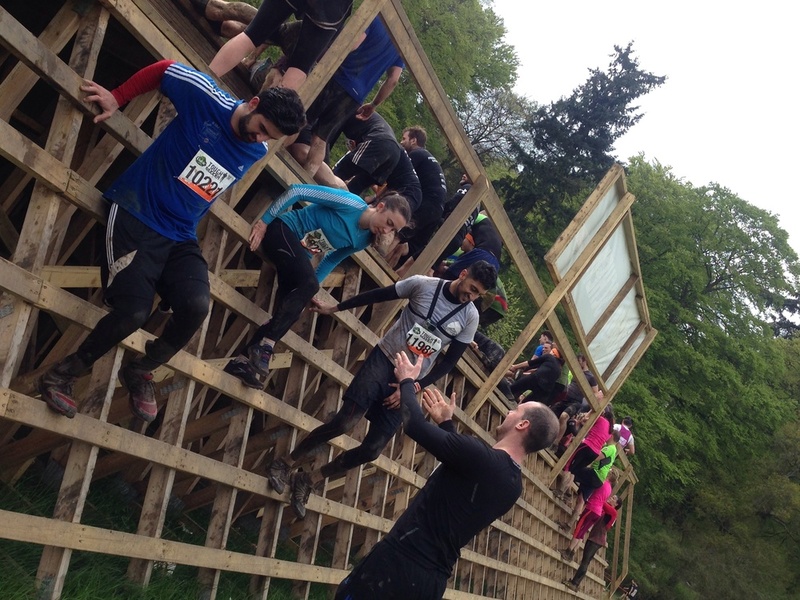 On Saturday 2nd May, 2015, I was fortunate enough to participate in and complete an event called Tough Mudder. Imagine if you will, rugged yet beautiful English countryside. Imagine a course over 12 miles long winding and climbing through forest and hills, each steeper than the last. Hardly any flat land, cold, wet, painful, mud like quicksand and 12 obstacles designed by British Military Special Forces. Imagine 1000's of people all going through the same challenge as you on the same day, and you will start to know what Tough Mudder is. So what does my experience completing this event have to do with success of any kind? After what I went through, in my opinion, here are 2 lessons for achieving meaningful success in life. At some point during mile 9 of this course and after several challenging, exhausting obstacles, I suffered cramp for the first time in my life. Now I am not talking about the type of cramp you get in your toes whilst you are asleep. I am talking about agonising, demoralising, muscles trying to rip themselves away from the bone, unable to walk, lactic acid burning, locked legs, energy sapping, crippling cramp. For the rest of the course. Now I appreciate this is not some type of "heroic" injury. Nor am I any type of athlete. I am a simple man who lives the same ups and downs of life like everyone else. At the beginning of this challenge, my Tough brothers and I made a pledge to each other, to the Tough Mudder nation and to ourselves. We were going to finish what we were about to start. This is important so I will write it again in a one sentence. We made a DECISION to finish this course. No ifs, no buts, no maybes, no "it hurts" or "I will do it next time". No. One decision, I AM FINISHING! So, along with many others and with the help of my 2 brothers in law (my team), I got up, took a deep breath, dug deep and carried on until the final obstacle and the finish line. The conviction I had in my decision gave me the strength to carry on. There was no other choice. In whatever you choose to do in life, make a firm decision and never give up. Ever! When I was down and suffering, I thought I could do it alone. I can make myself feel better and initially I denied the help my team was offering me. Quickly, as I became unable to walk and as I realised I was holding back my 2 teammates, I had to swallow my pride. I had to acknowledge I wanted their help and it was only with them I was going to finish Tough Mudder. By accepting help, it did not make me less of a person as I thought it would have done. It did not make my victory worth any less. By graciously accepting the help my team was offering, and by working together to overcome obstacles, it made crossing the finishing line worth even more. We each knew what it took both physically and mentally to do what we had done and by sharing it, the feeling of success was magnified. I had 2 men by my side of great character, strength, attitude and will power. It was only with them I did what I did. This experience can relate to any aspect in life one may want to excel in. Be it in a relationship, business, sport, family or work. To achieve meaningful success, surround yourself with those who will lift you when you are down and help you fly when you are high. Though I am still feeling sore a few days after the event, this pain will go. However, the knowledge I gained and feeling of completing Tough Mudder will stay with me forever. I believe by applying these 2 lessons to any aspect of ones life, a person can achieve deep, meaningful, happy success.